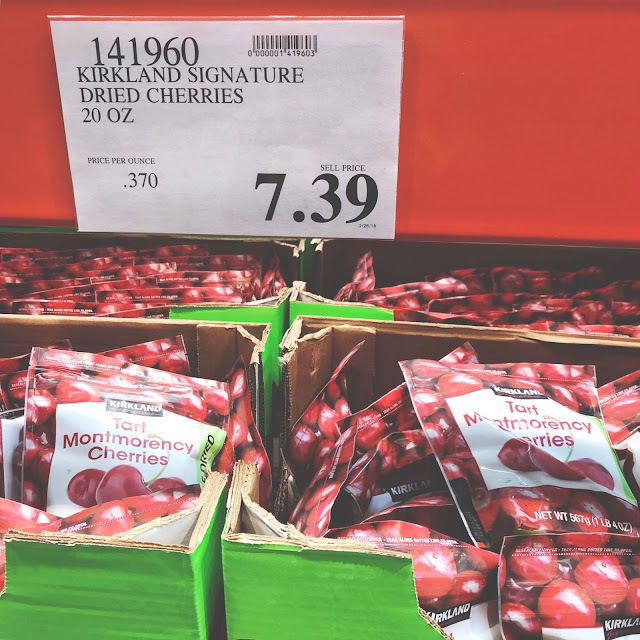 Morgan Apfel: THE COSTCO POST. I don't know why, but writing about my love for Costco + what my favorites items are seriously seems so overwhelming to me. 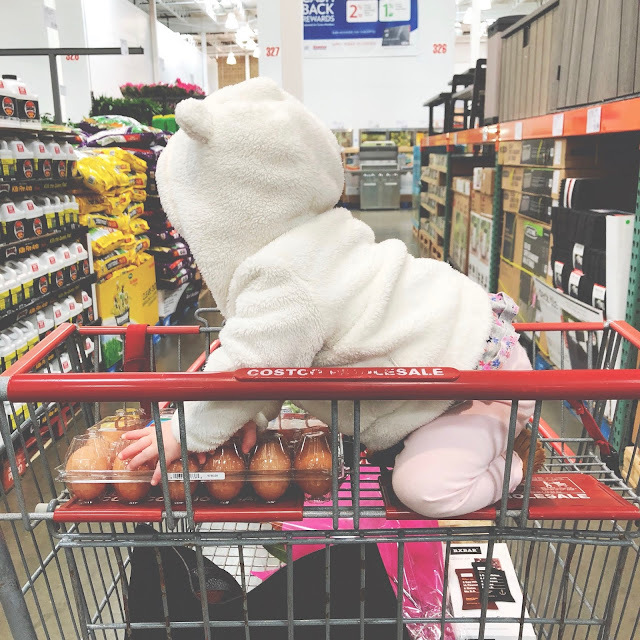 But after someone posted on Facebook recently asking what to buy at Costco, and I literally responded with "EVERYTHING" -- I decided it was time I nail this thing down. If my job is to share (and it literally is), then this is really important! Okay, so where do I even begin? You guys, I don't even know. 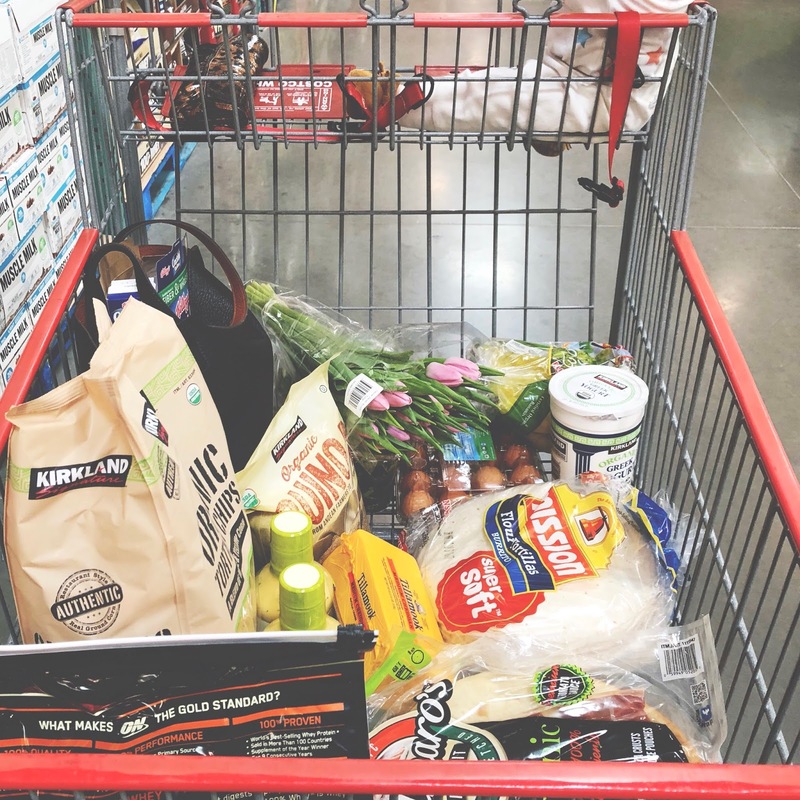 We do shop there to save money on a lot of items, and because buying in bulk is just awesome because we never run out of anything, but mostly -- it's just an obsession! It's literally my idea of a good time. And you never know what will be new each week, and THAT'S maybe the best part. ESPECIALLY if it's a good brand and you get a sweet deal on it! Like the time they had Peanut Butter Cup Halo Top, for like $3 a pint. WHICH saved me like, $8. (Not that I needed 4 pints of ice cream..but, still.) OR how this past week they had that Whole30-Approved mayo I've wanted to try forever, but won't pay an arm for a small jar from a smaller grocery store. OR like when I got Toms for $25! Those are the kind of scores I live for. AND because Kirkland brand rocks, which I will get too..
My husband would say that it's mostly about saving money -- because about a thousand rolls of toilet paper costs $30, or something ridiculous. But I think he'd even agree that it's just a THRILL. Some people like to thrift, I like to Costco. And that's what's hard about nailing down a list like this too, because every store will be a little bit different, and they don't always have repeat items. Like, I doubt when the Halo is gone, they'll restock it. And I know items differ by region too, like when we lived in Omaha, they had KIRKLAND GELATO. And unfortunately, I've never seen it since! Ok, ok though. Let's get into this thing. What DO we buy there? Kirkland Toilet Paper, Kirdkland Tissue, Q-Tips, Advil, Prenatal Vitamins, Sensodine Toothpaste, Neutrogena Makeup Remover Wipes, Dove Soap (me), Irish Springs Soap (him), Calvin Clein undies (both), Kirkland shampoo + conditioner, Aveeno Body Lotion, Dove Deoderant, MY CONTACTS! TIP: Don't buy contacts anywhere else! I honestly don't even do a ton of price comparing because I just assume bulk has be the cheapest. 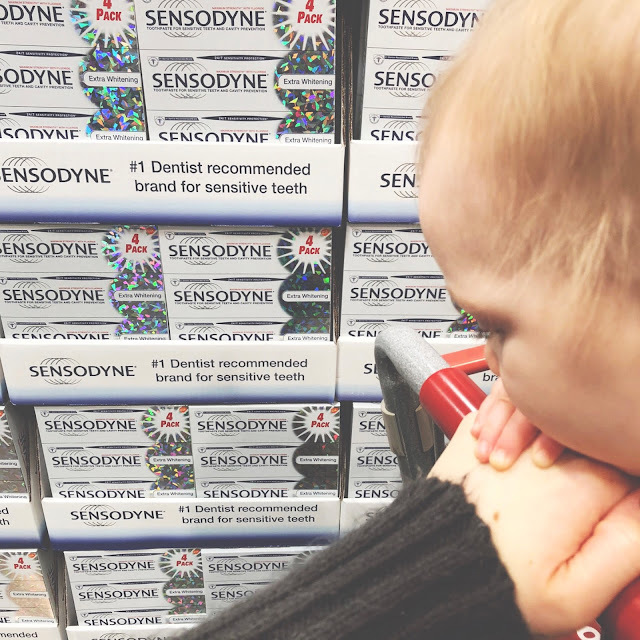 But just double checked, and this 4-pack of Sensodyne for example, is $21.99 at Costco. A single tube at Target is $5.49, so it's apparently .02 cents MORE here? But this is what I call the convinicence factor. Use the very last bit of toothpaste? NBD! Just run to the Costco closet and grab another tube instead of running out to the store, OR worse...going without brushing your teeth, yuck. Here's a deal though! So I started using mens razors because that's what happens when you get married apparently, and these at $40 for 16 cartridges is a STEAL compared to Target -- 4 for $17.99. Saving you roughly $32. But this here is also EXACTLY why when you go to Costco, you spend so much money and basically have a heart attack. That's $40 right there, on one item. But it's sort of how I look at Shakeology, it's a large upfront cost, that averages out later. Anyways, one last thing while we're on personal products This is one of my FAVE COSTCO SECRETS! Their shampoo + conditioner is AMAZING. I've HEARD it's actually comparable to Pureology, except literally a fraction of the price. 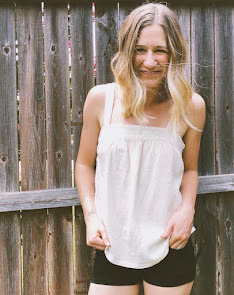 And I'm pretty picky about what I use -- my hair is WILD. And both of these live up. And come on, that price? You HAVE to try! Now let's get to fooooooood..
Occassionaly I get flavored yogurt, or cheese sticks, or ice cream, but those aren't "staples." This butter however -- STAPLE. And GIANT containers of organic spinach. I buy bananas and spinach every other week because I consume them daily. And I DIE everytime I have to buy spinach elsewhere because it's so cheap at Costco. Same with apples. Apples can get so pricey, ESPECIALLY if you're getting organic, which you should with apples! So nothing beats Costco. And then, gosh - sooo many blueberries for Emily. Her FAVE. And half the price usually. Rotissiere Chicken, Jacks Special Salsa, Sambra Hummus, Wholly Guacamole, Organic Turkey Lunch Meat, Kirkland Pesto -- which is THE BEST. Buy the pesto, put it on everything. TRUST. I should also mention WATER BOTTLES! Which are underneath there somewhere. We don't consume them on the daily, but keep them around for guests, and in our vehicles. OH. And Beer. This is where John gets his beer, and I'm not sure what category that falls under, OR if it's actually a great deal. But probably more that conveience factor thing again, lol. Snack bars -- KIND, Cliff, Lara Bars, Rx (ALL THE BARS FOR ME PLEASE), Kirkland almonds, Salt + Pepper Pistachios (J), Pacific Gold Organic Beef Jerky, Skinnypop, Bare apple chips, dried fruits, Miltons gluten-free pita chips (YUM), KIRKLAND ORGANIC TORTILLA CHIPS! I'd keep a Costco membership JUST for those chips. HUGE bag, and like $3.99! AND THESE!! I'm not sure they're labeled as a "snack," but one of my FAVE random Kirkland items! I add them to salads, chicken salad, or for a sweet fix I eat them with a few dark chocolate chips at night -- even the baby loves them. They're basically like fruit snacks, but not. GET THEM! I could go on, and on and on here particularly. So let's jump ahead. Pink Himalayan Sea Salt, Fresh Ground Pepper, Cinnamon, Giant things of taco seasoning + Hidden Valley ranch seasoning (I use with Greek Yogurt), DRIED ONION FLAKES!! 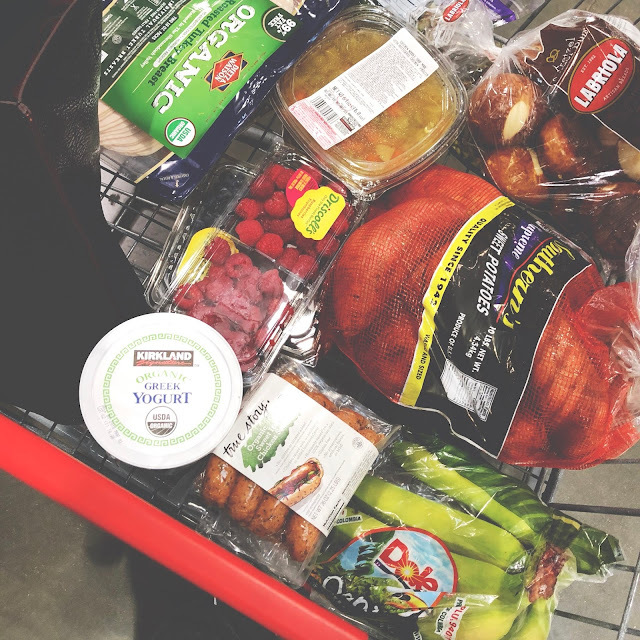 Another Kirkland FAVE we put on + in everything! Seriously -- tuna salad, dressings, marinades, etc. EVERYTHING! And then this is THEEEE best marina sauce. TRUST! And because I don't know what cateogy this falls under either....COFFEE. This is exactly why Costco rocks. Kirkland brand is basically the real deal because it's often from THE BIG COMPANY. Like this coffee is "custom roasted by Starbucks." And I drink mine black, so take my word that this is GOOD. Not technically a freezer item, but this is our FAVE bread that comes in a two-pack so one always goes straight into the freezer. And that goes with a lot of this stuff, since we are only a family of three, and this is BULK. So anything that can be frozen -- we freeze! Even if that means breaking things up and using the Food Saver. Huggies Diapers + Wipes (they go on sale frequently too), Formula, Cheerios, Harvest Snap Peas, Ritz Crackers, Organic Animal Crackers, Mandarin Orange Fruit Cups, Organics Baby Food Pouches, Organic Apple Sauce, Honest Bath Soap (always on sale), Carters Jammies, BOOKS! Love their kids books! And BONUS -- putting one in the front of the cart with her usually keeps her somewhat occupied. If something's sold at Costco, it's most likely in our house. So...our dishes, frying pans, Kitchen Aid mixer, food processor, waffle maker, Food Saver, all our kitchen utensils, Pyrex bowls, dog beds (MANY + GREAT BUY HERE), every single rug in my house, charcoal for the grill, fertilizer, plants, BEST BED SHEETS, bathroom towels, our guest bedroom MATTRESS, all three TV's..
And that's all I can think of, off the top of my head. But if they sell it, we buy it. OH, and OMG. Almost forgot -- FLOWERS. Best deal on flowers! I get the $14.99 special every other week. And it wouldn't be a Costco post without mentioning their pizza! A HUGE PIZZA for TEN DOLLARS. Back in the day, John and I would get a Costco pizza each week and live on it for like, three days. 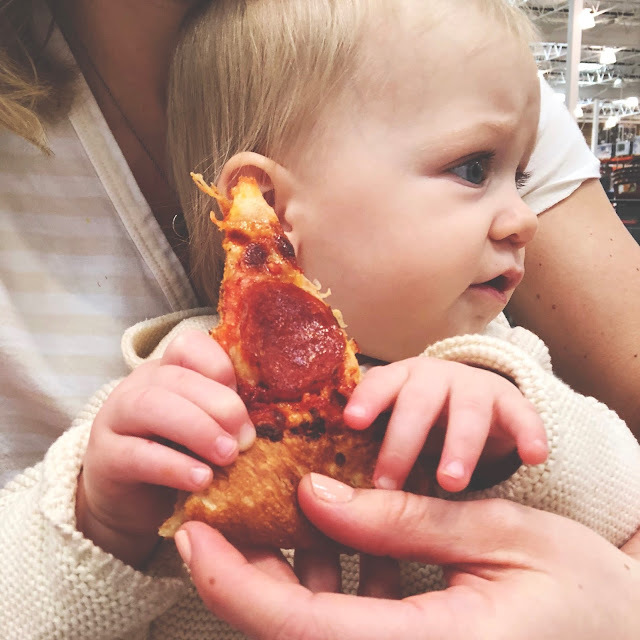 But now I know that it gives me a horrible stomach ache, so we don't do that too often anymore -- BUT I still think it's like, the best pizza ever. And TEN DOLLARS. PHEW. Ok, so what did I miss? What are YOUR fave's? 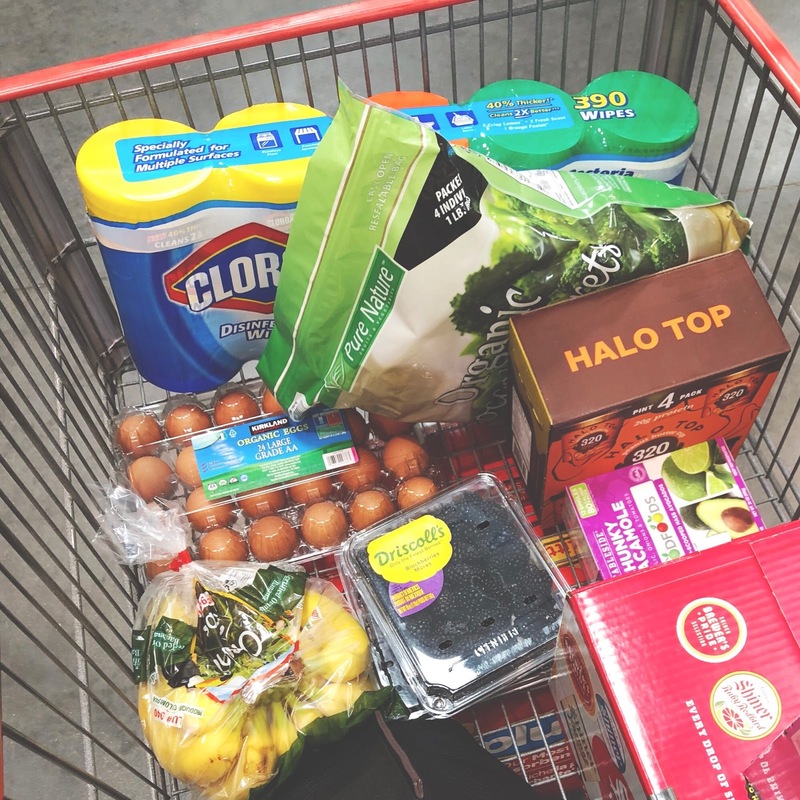 What was your best Costco score? Do you have the Kirkland Gelato? Can anyone tell me if that's still a thing???! The biggest Costco fan(s), and you're welcome! Labels: costco, FYI, health., ice cream life., motherhood., really long., recipe box., serious., share-worthy., too many pictures?, what i ate. Costco is SO dangerous, haha. It's awesome to buy certain things in bulk because yes, just go to the closet when you run out & not the store! We JUST finished a box of garbage bags last week that we bought in FEBRUARY 2015 when we first got our membership! The main things we get are their chicken which already comes pre-packaged & portioned out. Sure, they are HUGE but I haven't found any other fresh/frozen chicken that tastes as good as theirs. And of course we stock up on all of the paper products too. It's so nice to not have to buy paper towels or toilet paper every other week or so. They used to sell these frozen chicken breakfast sausage that we bought ALL the time until they stopped selling it. Well, they ended up bringing it back about a month ago but have since stopped selling it again.. ugh! So I feel you on the gelato thing, haha. Kodiak cakes are the best & we have been getting the 48 pack of the vanilla waffles. It feels ridiculous buying that huge box of waffles but they are SO good!